An aloneness of one's own making. 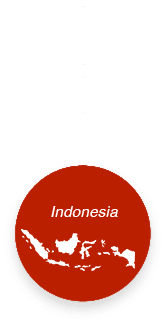 This holiday season, let's keep Indonesia in mind. These people on the coastline, many of them holiday tourists, we caught off guard by Saturday's tsunami that you can read about here. While learning about the tsunami, I came across this report on Indonesia and other efforts by the Sierra Club. A lot to ponder in light of the perspective on just important and valuable Indonesia is to the planet as expressed below. Happy to share several links to organizations that are helping out the victims. Consider making a donation, as well, to the Sierra Club—or any environmental organization of your preference. We must think in a planetary way if we are to survive as a human species. INDONESIA’S RAINFORESTS MAY SEEM VERY FAR AWAY FROM THE U.S., yet their destruction is affecting the whole world. They are the third largest rainforest region on Earth; vital in regulating the climate and critical to our future in a dangerously warming world. 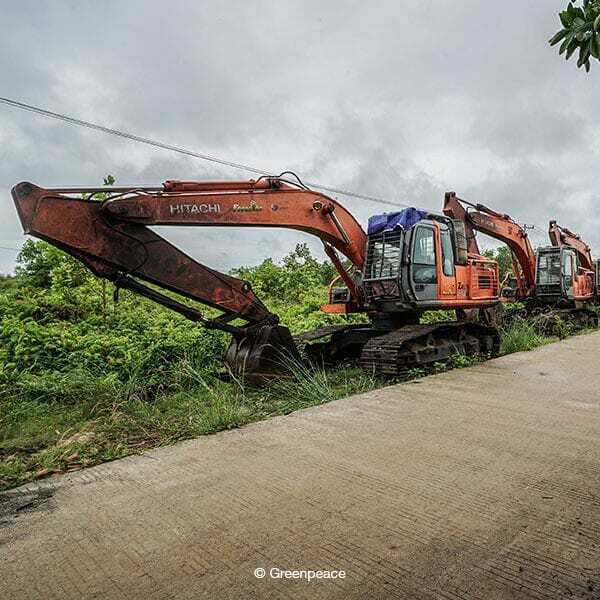 What happens to forests happens to all of us, and Greenpeace is bringing all of our best strategies, strengths, and skills to the fight to stop Indonesia’s rainforests from being further destroyed by the expanding palm oil industry. 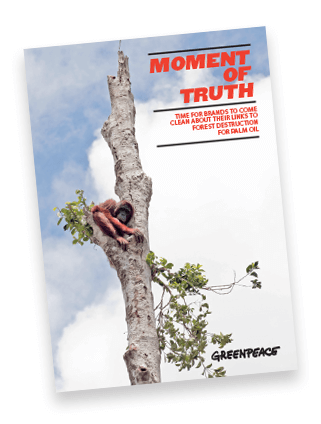 Over the last few months we have brought high, global visibility to the issue—with the release of reports on Greenpeace’s in-depth investigations and exposés, the use of creative communication to inspire people to take action, and the deployment of the full power of our movement to effect change. As we defend forests overseas to fight global warming, we are striving for climate leadership here at home. While the Trump Administration and its regressive policies require our most determined resistance, Greenpeace is simultaneously pushing for real climate leadership in California to create the progress we need to address global warming. Greenpeace pulled out all the stops in the run up to Governor Jerry Brown’s Global Climate Action Summit, using creative direct action and grassroots organizing tactics to demand that before he leaves office, he acts as the climate leader that California, the country, and the world urgently need. 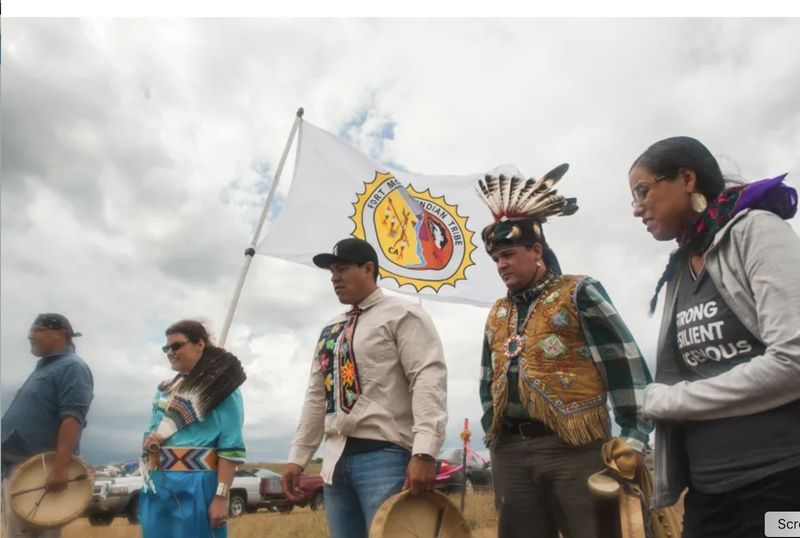 We’ll continue to call for him to stop new permits for oil and gas extraction, phase out fossil fuels and related infrastructure, and move the state towards a fair and just 100% renewable energy economy to model climate action not only in California, but for other states and countries as well. Your support is what makes it possible for Greenpeace to go the distance in every fight we take on. Whether it’s saving rainforests and critically endangered animals, protecting vulnerable marine ecosystems, taking on the world’s biggest corporations, or any other issue affecting our earth, you are the reason Greenpeace can be a powerful force for a better future for people and the planet. 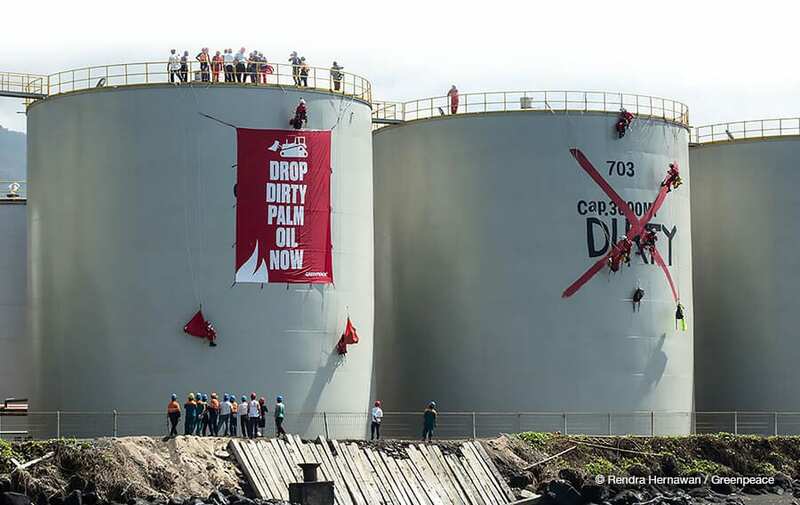 As part of our recent global campaign push to protect rainforests, our colleagues in Indonesia staged a superb direct action at Wilmar International, the world’s largest palm oil traders’ oil refinery in Bitung, North Sulawesi. On September 25th, thirty brave activists scaled 20 meter high containers to deliver a message to the industry, to stop destroying rainforests for palm oil. We are honored to introduce you to Waya, one of our amazing activists. She wrote this piece the morning of the action. I REMEMBER WHEN I WAS A KID, Papa always took me back to his hometown to see Oma, my grandmother, every Christmas. The town Papa is from is called Manado, in North Sulawesi, Indonesia, and it’s so beautiful. Like Bali, where I study now, but less well-known. Once, Papa invited us to travel far out of the city to Lembeh Island, famous for its underwater riches. When we were on the island we could enjoy the view of the city of Bitung in the distance, with a beautiful view of Mount Klabat on the other side. This memory from my childhood makes my heart wince, knowing that Bitung has since become a home for forest destruction. When I also consider that makers of everyday products like Ritz, Colgate, and Dove are contributing to the loss of the home of the Cenderawasih bird in Papua, the cute Orangutan in Kalimantan, and the Sumatran Tiger, which is getting closer to extinction, I feel even worse. I was enjoying the sunset on Kuta Beach, Bali, thinking this over when I realized I can’t keep quiet. I want to act. I want to do something about it, to stand up to these brands and tell them to immediately #DropDirtyPalmOil. I want to see the beautiful rainforest. I want to see the wildlife of Indonesia’s pride move swiftly and dance freely in our forests. I want my life to be clean from dirty palm oil. I want dirty producers to change straight away, and no longer trash our forests. I am Waya Maweru. I am an Indonesian woman of Manado blood. With full awareness, I will stand to fight for the future of Indonesia’s forests. And today, standing at the doors of the world’s dirtiest palm oil giant—me and other Greenpeace activist friends from various parts of the world—are asking makers of products like Ritz, Colgate, and Dove to #DropDirtyPlamOil, drop Wilmar. Shortly after this action, Sulawesi felt the horrible impact of an earthquake and Tsunami. We hold the people of Indonesia in our hearts and send our sincere condolences to the victims of Donggala and Palu, Central Sulawesi. meaning it’s in pretty much everything we use daily. the greatest cost of our forests. palm oil continues to be one of the leading drivers of deforestation. The time is now for companies to fix the problem they created before it’s too late. We are less than 450 days from 2020 and deforestation shows no sign of slowing down. precious forests are essential to our survival. WHAT DO WE LOSE IF BUSINESS AS USUAL CONTINUES? that, between 2012 and 2015 roughly one soccer field of forests was lost every 25 seconds. In an explosive investigative report, Final Countdown, Greenpeace reveals that some of the world’s best-known brands are still doing business with palm oil suppliers linked to rainforest destruction and human rights abuses. 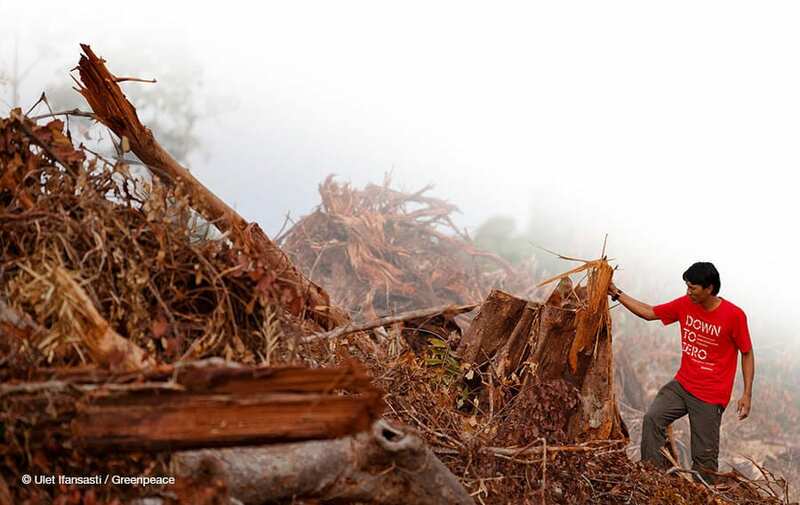 The report documents extensive deforestation and human rights abuses by 25 of the worst palm oil producer groups that are supplying palm oil traders and consumer companies.